Our unrefined, Avocado Oil (Persea gratissima) is an intensely rich, nourishing carrier oil that is excellent for moisturising both the skin and hair. It has a distinctive dark green colour, nutty aroma and thick, heavy texture. 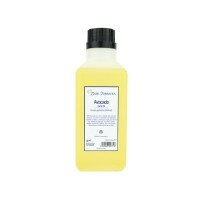 Avocado oil (Persea gratissima) is cold-pressed from the fleshy pulp of the avocado pear. The unrefined oil has a naturally dark green colour, thick texture and a distinctive nutty aroma. Our unrefined, Avocado oil is an intensely rich, nourishing carrier oil that is excellent for moisturising both the skin and hair. It contains high levels of fatty acids, vitamins A, C, D and E, as well as amino acids, lecithin, potassium and plant sterols that help to soften and regenerate the skin. Unrefined Avocado oil has a heavy, viscous texture with excellent penetrative powers, which makes it particularly beneficial for nourishing for mature, dry, damaged or chapped skin. Its restorative fatty acids and antioxidant properties are excellent for improving the skin’s elasticity, combating signs of ageing, and promoting a smoother, more youthful complexion. 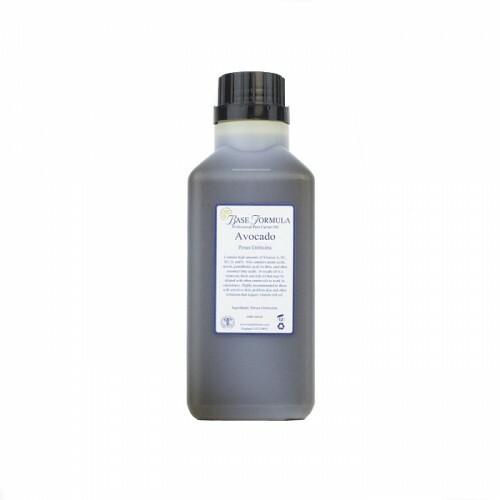 Avocado oil can also help to relieve dry, itchy skin conditions such as eczema and psoriasis. As well as being excellent for skincare, Avocado oil can help to moisturise and nourish dry, brittle hair and soothe itchy, flaky scalps. Unrefined Avocado oil is particularly recommended for mature, prematurely ageing, dry or damaged skin types. It is not recommended for those with oily skin. Due to its viscosity and richness we recommend that the unrefined oil is diluted at 20% with Sweet Almond oil or Grapeseed oil, or at 10% with Jojoba. 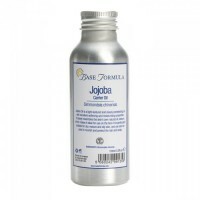 For facial oils we would recommend reducing the dilution to 5-10%. Note: We also sell a refined Avocado oil which has been further processed to remove the dark colour and distinctive aroma. 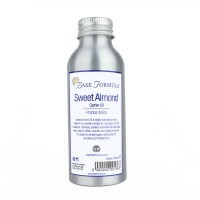 This oil may be preferred if you want a lighter textured oil with a more neutral colour, aroma, and longer shelf-life. It does not, however, possess the same level of phytonutrients as the unrefined oil, so if you’re looking for maximum therapeutic benefits you should chose unrefined Avocado oil.